Some Windows apps not showing up in Coherence mode. When I am trying to open some Windows application such as Adobe Reader in coherence mode, it shows a Grey screen or shows nothing. 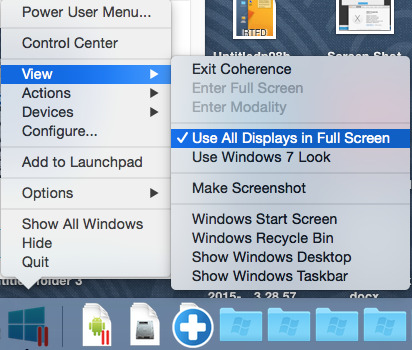 Right click on Windows virtual machine icon in Dock > View > tick Use all Displays in Full Screen.